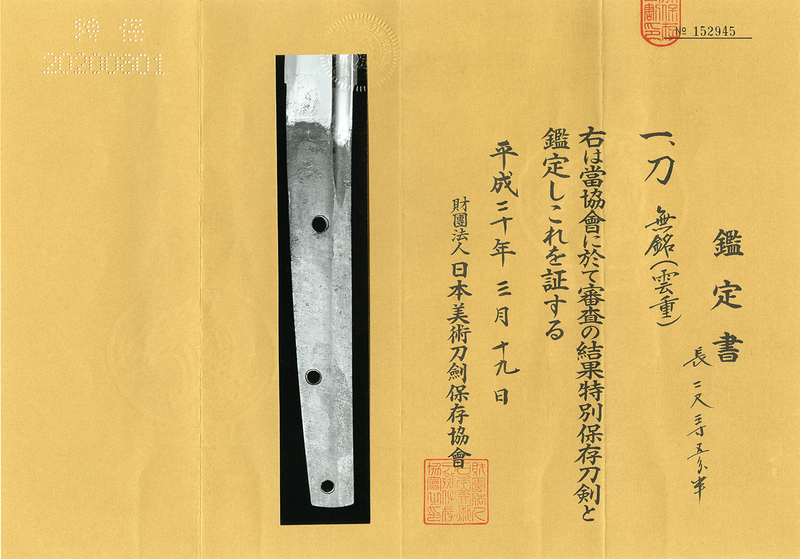 This Mumei (Unju) belongs to Jyojyo saku ranking. Blade length : 71.3 cm or 28.07 inches. Era : Nanbokucho period (1352). 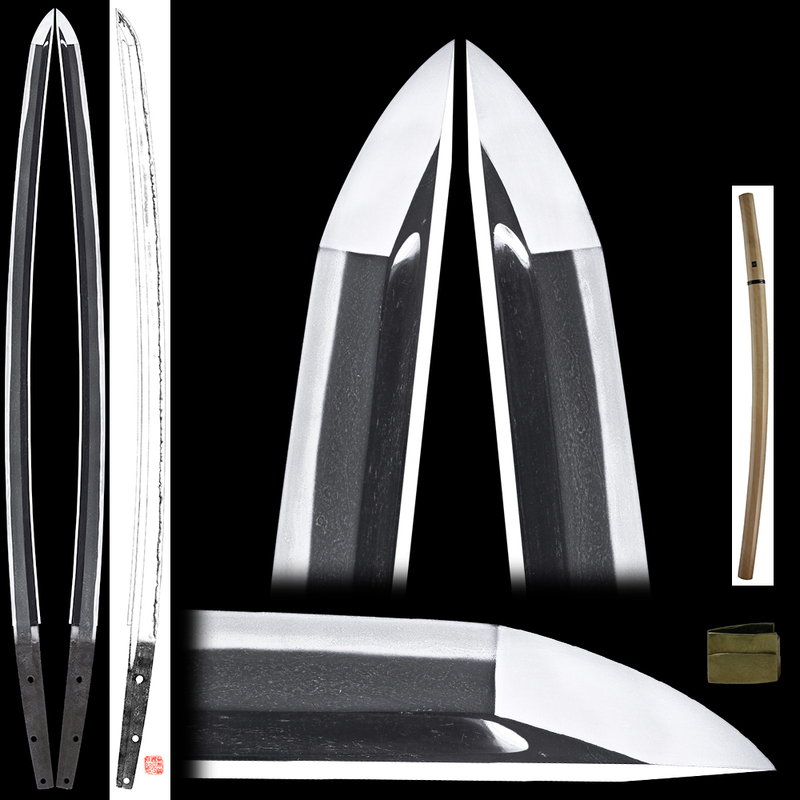 Shape : OoSuriage Mumei, wide and thick blade with long Kissaki. Bo-Hi is on both side. Jitetsu : Itame Hada well grained with Jinie attached. There fine Chikei. Hamon : Ko-Nie deki Suguha base with deep Nioikuchi. In Ha, there are many Sunagashi and Kinsuji. Boshi is round shape with deep Nioikuchi. Special feature : Unjyu was working from late Kamakura period to Nanbokucyo period. At that place, Unsyo, Unji, and Unjyu were well known sword maker which is called Ugai school or Unrui. The style is slightly different to neighboring Aoe and Bizen. The Jigane is Chirimen Hada and well grained. 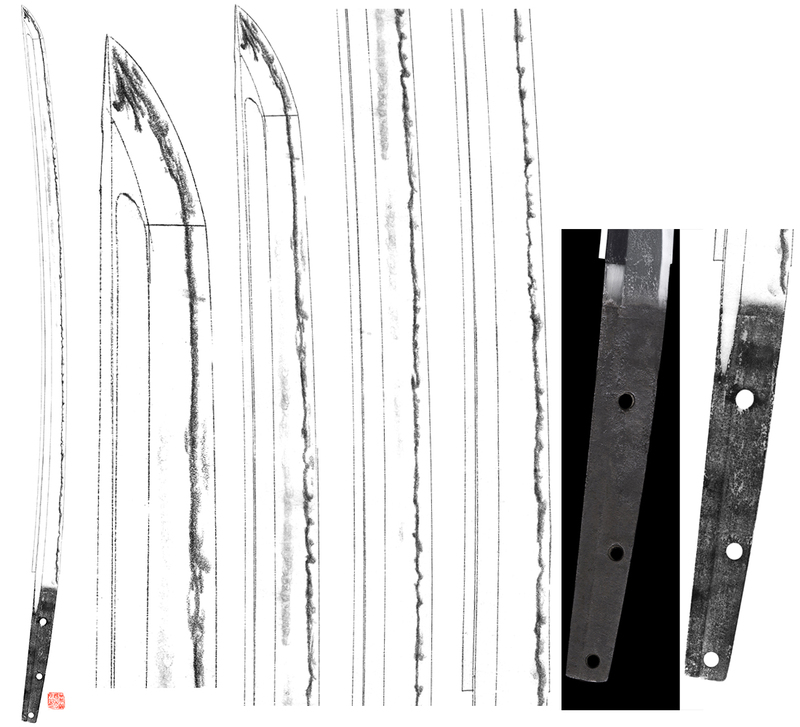 This blade is Suguha base Hamon and has many works in Ha. The Jigane is the best and the brightest. This blade quality is on a level with that of the NBTHK Juyo blade.